Located in the prestigious West Hoboken section of Union City, 801 Palisade gives you the access you want to Manhattan, and the proximity to shopping, dining and entertainment—all within a few blocks. 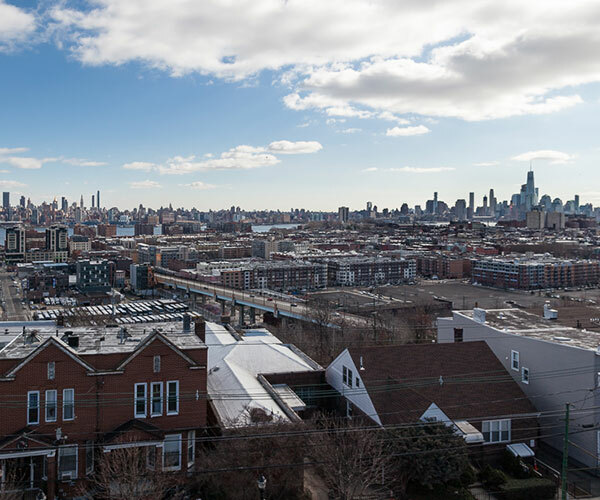 Located in the highly sought-after West Hoboken section of Union City, 801 Palisade provides a spectacular location, and it starts with the view. The scenic Hudson River waterfront and the majestic Manhattan skyline provide the beautiful backdrop to your amazing new lifestyle. You’ll never tire of the panorama before you—from the sunrise over the water to the variety of boats passing by, to the sheer magnitude of one of the world’s greatest cities right at your doorstep. But that’s only one of many reasons to love it here. Commuters will enjoy the proximity to metro area transportation. There is a NJ Transit bus stop right in front of the building that conveniently takes you to the ferry and the PATH train. Just a few minutes away, you'll find the Hudson-Bergen Light Rail's 9th Street-Congress Street Station. Commuting to Manhattan is quick and easy via mass transportation. There’s also easy access to the Lincoln Tunnel or I-95 via Route 495. Right outside your home, Union City offers an abundance of leisure choices. Shopping, dining and entertainment are within a short stroll. The city is known for its eclectic mix of international cuisine. You'll find many diverse dining options within a short walk. Outdoor enthusiasts will love the opportunities to bike and enjoy the area parks. Washington Park shows off Union City's view of the Manhattan skyline while Firefighter’s Memorial Park offers a cool summer retreat.